Yes, we all remember the Occupy movement. As described in Wikipedia, “The Occupy movement is an international social movement against social inequality and lack of “real democracy” around the world….”. You might ask what does Virtual Reality has to do with this movement, and that’s a valid question. To me, it boils down to the globalization of access to a technological leap that will radically change the way we watch and interact with images and information. To watch VR, you need a “viewer”. There are already many out there in the market. I won’t bother you with my typing, all you have to do is “google” it …and just get one. There is a great variety out there, and the specifications, durability and quality is, in general, pretty good. The cost varies, and they go from very affordable to extremely expensive. to a fancier, better and obviously, more expensive version like the Zeiss VROne. The development and quick evolution of this industry has indeed been, in many aspects, revolutionary. The one characteristic that all VR/AR viewers have in common, is the fact that they are bulky, not portable, not foldable and hard to casually carry around. I really think that until the viewer becomes as portable and universal as a smartphone, its use and all the multiple applications, photos ( Google just released the Google cardboard camera app ) , videos ( even in YouTube ) and games available in VR, will not really take off. This technology does need to “behave” like a cell phone, before it is widely accepted. It is so hard to carry the viewer around, to be able to at any time show people the benefits of this amazing technology. Being a Surgeon, Technology Innovator and Healthcare Futurist, I’m frequently honored with invitations to deliver talks all over the world; many times during my keynotes, people want to experience the VR / 360 degree immersion, but since the device is not pocket-friendly, I don’t carry it with me, so I am not able to give them the hands-on experience. I believe that practicality and cost are the main barriers for this technology to take off and hit the mainstream, to become universal and commonly used. Fortunately and finally, this issue might have a solution. The company Dodocase.com has come up with a case that is of good quality, completely portable, foldable, light and inexpensive. I bought one, tried it and am convinced that it does has the potential to break the VR “inequality” gap, regarding accessibility and portability. 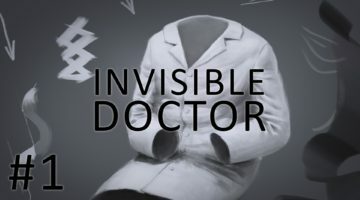 I have posted before on the benefits of VR for Healthcare and Medical education. 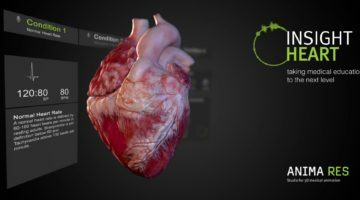 How VR and Augmented Reality represent fantastic new media to optimize access to medical care and training. My friend and colleague Dr. Shafi Ahmed and MEDICAL REALITIES became the first team to ever live stream a surgical procedure, in VR/360 degrees, and his feat clearly illustrated the potential benefits of this platform in the healthcare and medical education sectors. If you had the curiosity, the mobile device, the connectivity, the VRinOR (free) app and a viewer, you would have been able to watch real surgery, in real time, totally immersed in a 360 degree-virtual reality streaming, watching and listening to the surgeon as he performed the operation. It was truly Exponential Medicine in action, as we demonstrated in 2015 at that amazing Singularity University event. 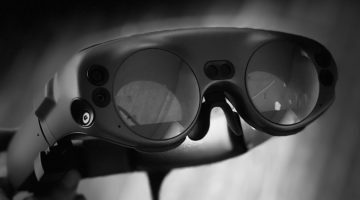 I trust that as both hardware and software improve, the fields of VR, AR and Mixed Reality will certainly become ubiquitous in our everyday lives. The uses will go well beyond the current entertainment and gaming industry, and will expand to areas like Medicine, Education, Global Health, Journalism and many others, some of which are only limited by our imagination. In the near future, we will look at (different) screens in a totally different fashion and we will likely laugh at how we used to stare for hours, to flat, bi-dimensional screens that allowed no user interaction, and that just made our eyes tired and dry. This is indeed, as PeterDiamandis puts it in its Abundance 360 newsletter: A great Time To Be Alive. We will certainly SEE a Better Future!